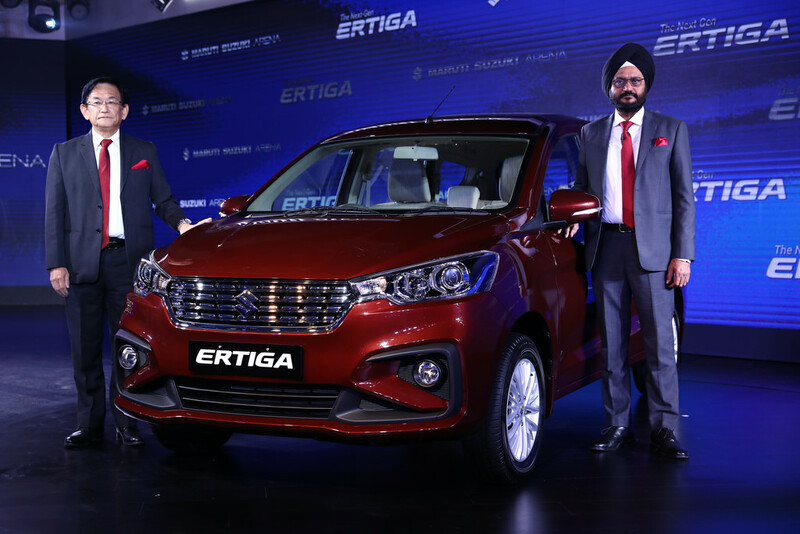 After more than half a year since its unveil in Indonesia, Maruti Suzuki has finally launched the all new Ertiga MPV in India. The first iteration of the car was launched in here in 2012 and this is the first major upgrade given to it ever. And this upgrade is no nip and tuck job, the new Ertiga is substantially different from its predecessor on many counts. The car will be available in both petrol and diesel variants. Further, the petrol version of the MPV will also be available in an automatic avatar. The petrol variants are priced between Rs.7.44 Lakh and Rs.9.5 Lakhs while the diesel variants will be available at Rs. 8.84 Lakh to Rs. 10.9 Lakh. The bookings of the car have already commenced and the deliveries will begin in the coming weeks. The previous generation Ertiga was based on the Swift hatchback and was the first monocoque MPV in India. 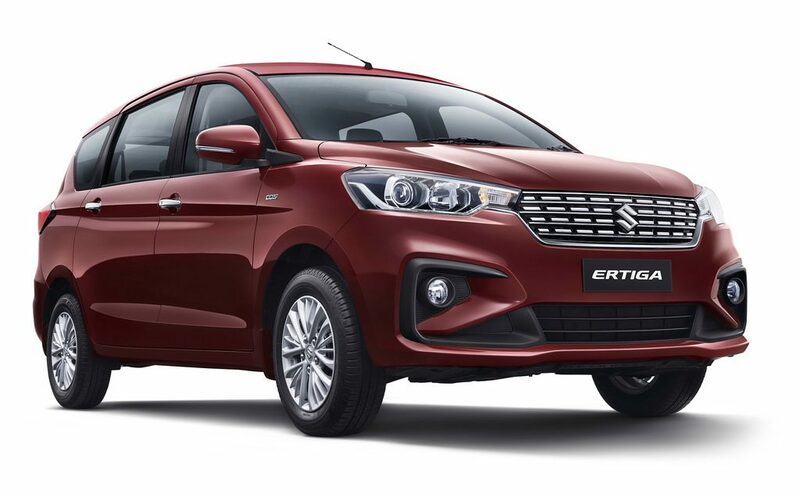 Now, the new Ertiga is based on Maruti Suzuki’s Heartect platform which, incidentally, is the platform of the latest generation Swift as well. What this platform has helped Maruti Suzuki to achieve is a reduction in weight by around 20 Kgs as compared to the outgoing model. The design of the car has also been revised completely and it looks way sharper than the outgoing model. The new Ertiga is 4395mm in length, 1735mm wide, 1690mm in height and has a wheelbase of 2740mm. 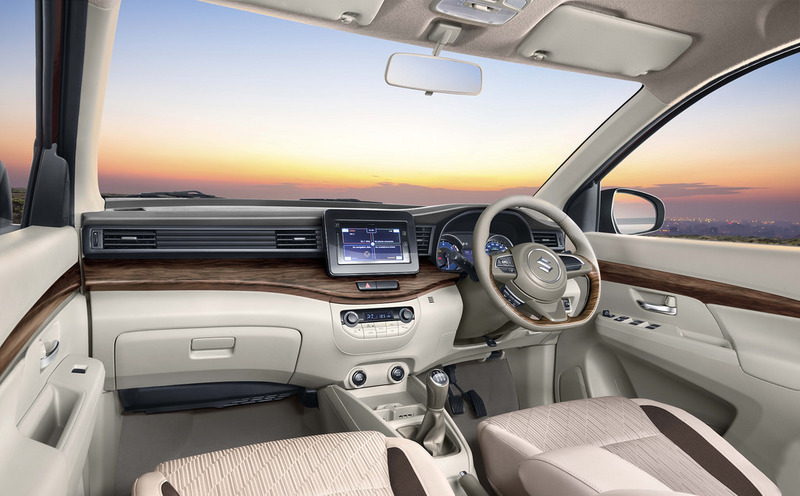 Not just the outside, the car also features a completely redesigned interiors, The dashboard is all new and the interiors feature a combination of wood & beige colour theme. There are some bits of leather thrown in as well like on the steering wheel. Overall, it looks plush and interesting on the inside. The new MPV will be available in 5 colour options which are Grey, White, Silver, Red and Blue. The all new Ertiga will come powered by the 1.5L K15B petrol engine as seen on the new Ciaz and the tried & tested 1.3L DDiS diesel engine. The petrol motor produces 105HP power and 138Nm torque. This will come mated to a 5-speed manual and a 4-speed torque converter automatic gearbox. The diesel engine is good for 90BHP power and 200Nm torque. It will come mated to a 5-speed manual gearbox only. Both petrol and diesel Ertigas will feature Maruti Suzuki’s SHVS micro hybrid technology which will make them extremely fuel efficient cars. The naming convention of its variants makes it pretty clear that the new Ertiga is going to be sold through Maruti’s Arena channel. The main competition for the Ertiga in our market is the recently launched Mahindra Marazzo and Renault Lodgy. 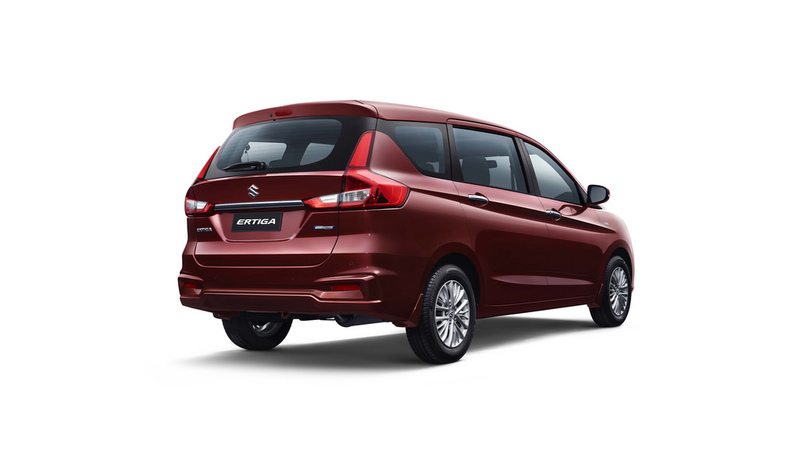 The thing to note here is Ertiga is significantly cheaper than both of them but, is smaller in size as well. Having said this, it has been a performer for Maruti in its previous avatar and with all the added bells & whistles, it is bound to do well in our market again.